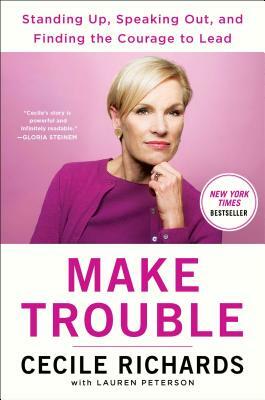 Cecile Richards is a nationally respected leader in the field of women’s health, reproductive rights, and social change. She began her career helping garment workers, hotel workers, and nursing home aides fight for better wages and working conditions. After years in the labor movement, she moved back home to Texas to help elect the state’s first Democratic woman governor: her mother, Ann Richards. She went on to start her own grassroots organizations, and later served as deputy chief of staff to House Democratic Leader Nancy Pelosi. In 2011 and 2012, she was named one of Time magazine’s 100 Most Influential People in the World. For over ten years, Richards served as president of Planned Parenthood Federation of America and the Planned Parenthood Action Fund. She is a frequent speaker and commentator on issues related to women’s rights and activism. Richards serves on the board of the Ford Foundation. She and her husband, Kirk Adams, have three children and reside in New York City.